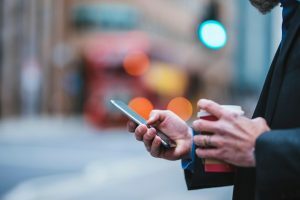 Ever wish you could send and receive business text messages to and from customers and employees without having to use your personal cell phone number? Our texting service allows you to send and receive text messages on your cell phone, laptop, tablet or desktop computer while using your business phone number. You no longer have to worry about giving out your personal cell phone number to text message your customers, employees or co-workers. With TriadText, you have the ability to text from your laptop, tablet, PC, or cell phone. Compared to typing text messages on your cell phone, typing text messages on your laptop or desktop computer is easier on your eyes too! Not only can you use our mobile and desktop apps to send and receive text messages, you can also use our mobile app to make and receive business calls on your cell phone while using your business phone number. If you are ready to stop giving out your personal cell phone number for business texts and business calls, contact us today!